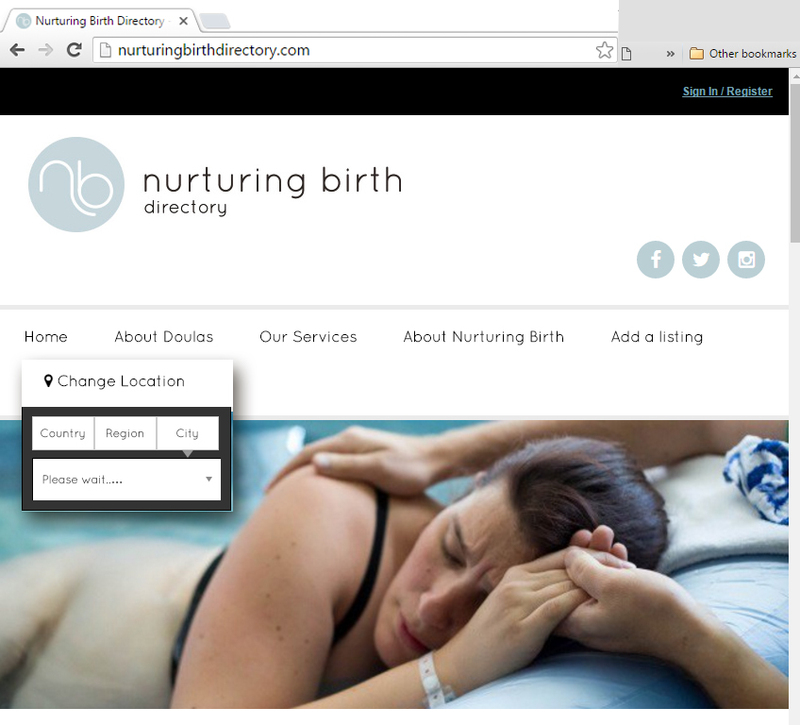 This week I chatted with Sophie Brigstocke, co-founder of www.nurturingbirth.co.uk and their doula directory www.nurturingbirthdirectory.com, a brilliant postcode based search engine for pregnancy, birth, postnatal and infant feeding support and services. I asked Sophie to tell me what she’s been up to, and in simple terms, what is a Doula?? Someone once told me it takes 50 years for an idea to be known and accepted by the general population and in the UK the word “doula” has only been around for 15, so it’s not surprising that many people still aren’t aware of who doulas are or what they do. There have been many times when I’ve introduced myself to someone and they’ve misheard me and thought I was either a jeweller or a dealer! So, if you fall in to the camp of not knowing, or never having heard of a doula before you are not alone. A doula is someone (almost always a woman) who provides emotional, practical and informational support to a pregnant mother/couple before, during and after birth. A birth doula will work with the mother/couple in preparation for birth, will go on call a couple of weeks before the estimated due date, be present at the birth and then visit once or twice postnatally to ensure that all is well. A postnatal doula visits a new family in the first few weeks after the birth, usually for a few hours at a time, providing whatever support the parents need, for example feeding support, signposting information and choices, practical and domestic help in the home e.g. nice home-cooked meals! People often describe it as mothering the mother – being the familial support that is often not available. The expression “it takes a village to raise a child” sadly doesn’t really work anymore – many women I meet, when it comes to their turn to have children, have not even held a newborn baby before. TRUTH: Doulas support their clients in having the birth of their choice, provide non-judgmental support and are able to signpost (one of my favourite words!) evidence-based research to help a mother/couple make an informed decision. Recently one of my clients opted to have an elective caesarean and we were able to work together to make sure that it would be the most positive experience possible for mother and baby. Doulas know a great deal about the physiology of birth and how to maximize the production of essential birthing hormones, which provide natural pain relief (more powerful than morphine) so they can be hugely supportive for someone whose aim is to have a drug-free birth. They know a lot of comfort measures and techniques for supporting women during birth. However, most doulas I know recognize that there are times and places when medical pain relief is invaluable. MYTH: Doulas are only necessary when the partner doesn’t want to/is unable to be there, or doesn’t exist. TRUTH: Absolutely not! Doulas are there to support the family and to enable the birthing mother’s partner to be the best support he/she can be. Some partners are naturally nervous about how they will be on the day – how they will cope seeing their loved one in pain – how they will ask the right questions/do the right things. Often a partner will carry a huge weight of responsibility in a time when he/she is in an unfamiliar situation/environment and that can be overwhelming. During a birth I am there for the partner as much as for the mother, reassuring, reminding, encouraging. A smile to the partner at a key moment can do wonders. 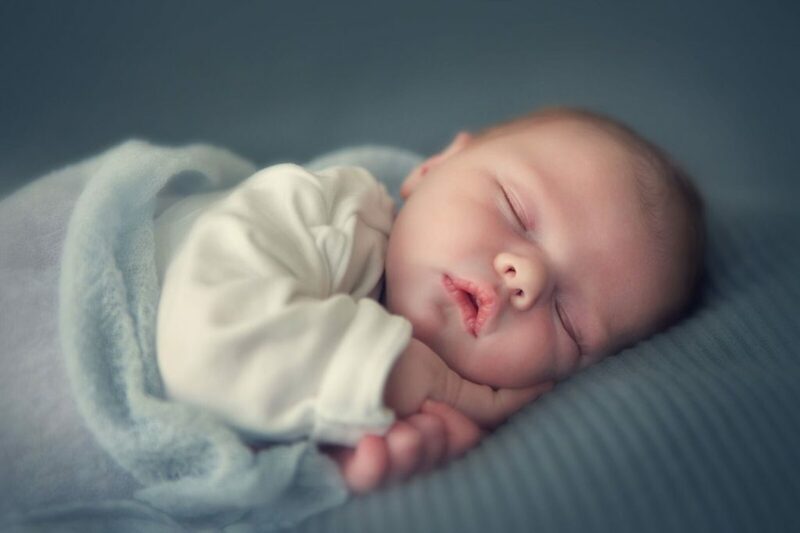 During a long birth, partners will need an opportunity to go to the loo, have some food, even have a bit of sleep, and the doula can enable that to happen without the birthing mum being left alone. I don’t ever want to usurp the position of the partner, but encourage him/her to be the best he/she can be. Doulas are great at being there, but also at melting into the background when they are not needed. MYTH: All doulas are hippies? TRUTH: As a Doula Trainer for Nurturing Birth I am blown away by the variety of women I meet – different ages, cultures, religions, backgrounds, previous jobs … you name it. Doulas come in every shape, size and variety and it is essential that clients shop around until they find the right doula for them. There is an expression that there is a doula for everyone! Even after all this time doing the job I am still so honoured and humbled that people invite me to be at something as special as their birth. It’s amazing! I’m trying to work on my hippy credentials, but not getting very far! TRUTH: I believe that every woman deserves a doula, and the recent National Maternity Review supports that in its key suggestions around continuity of care for women during the maternity period. There are options for women around hiring a doula – recognised doulas (those who have undergone mentoring and have been working for a period of time) will inevitably charge more than those who are just starting out. So, for those who have less available cash, hiring a mentored doula (someone who has completed an approved doula course, like Nurturing Birth, and is just starting her mentoring journey) is a more affordable option. Some will charge £200-£400 for their full birth package, which gives you amazing one-to-one support through pregnancy, birth and immediately after. Some doulas work on the age-old bartering system – I’ve known of some accepting help creating a website in exchange for their services, help in the garden or home, or hairdressing! There are also some voluntary doula organisations – Birth Companions provides support for women in prisons for example and Doula UK has an Access Fund who will cover a doula’s expenses if she supports a couple in financial difficulties. TRUTH: There are always stories in every profession of the rotten egg – the one who makes it difficult for everyone else! And of course the stories spread like wildfire. Most doulas I know work incredibly hard to generate positive relationships with midwives, maternity units, hospital trusts etc. Many of them, including me, are on Maternity Forums at the hospitals, working directly with the midwifery teams to promote positive experiences for families. Doulas who have done an approved training (like Nurturing Birth) have had the opportunity to debrief their own experiences so they can focus on the women they are supporting without agenda. They also have huge support from their doulas peers and mentors, so can learn, feedback and reflect in safety. Midwives do an unenviably difficult job and doulas, in my opinion, are there to support everyone involved in a birth, making it the most positive environment possible, whilst enabling their client to make informed choices. TRUTH: There is so much stuff out there! Books, websites, friends and family recommendations – it can be a nightmare, particularly when you are in those first few sleep-deprived weeks. Doulas, without a particular method or agenda, can help filter through all the suggestions and advice and support a new family in finding what works for them. They will be able to help separate good recommendations from non-evidence based rubbish and will be able to signpost further support networks and information, all whilst making comforting cups of tea, folding some laundry or washing some dishes! 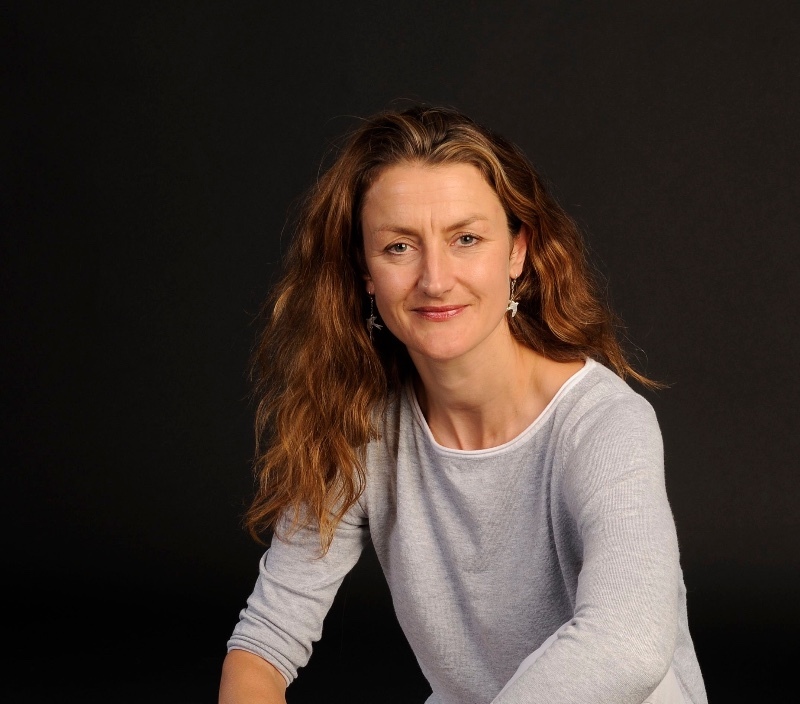 Sophie Brigstocke is a Birth and Postnatal doula based in SW London. She runs Nurturing Birth with Florence Etienne-Jackson, a doula based in the Midlands. Nurturing Birth provides doula training courses across the UK and beyond, as well as the Nurturing Birth Directory, helping parents to find pregnancy, birth, postnatal and feeding help.